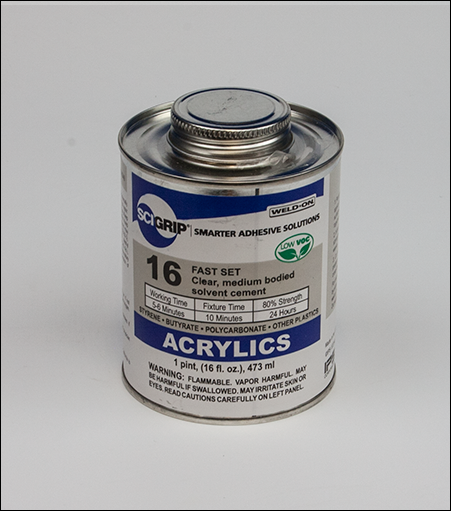 A clear and thick cement for industrial grade acrylic. Heavy-bodied solvent for quick bond. Cements styrene, butyrate, and other plastics. Use on irregular edges, especially when high-strength (not bubble-free) joints are required. Good outdoor weatherability.